Left over stale crêpes don’t have to go to waste, put a special adult twist to it and you will have yourself a gorgeous French classic! 1) Set up the none-stick frying pan on a high heat. Add in the caster sugar and as it starts to caramelise add the butter, stir well and pour in the orange juice and bring up to boil. 2) Skim the top with a cold spoon, then add the lemon juice. 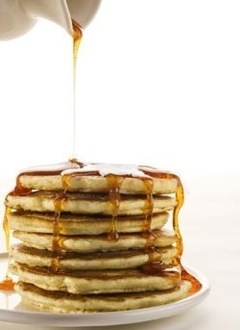 Reduce the syrup a little, than add a generous splash of Cointreau. 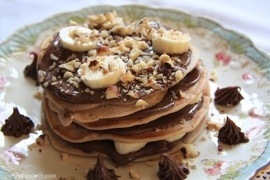 3) Add one pancake at a time to the pan, flipping and folding. Remove the pancake and fold in half again on a plate. Repeat with the remaining pancakes. Line them up in a flameproof dish. 4) Now for the flambéing: add a generous splash of Cointreau to the pan, and tip into the gas flame to ignite or carefully light with a match if you have an electric cooker. 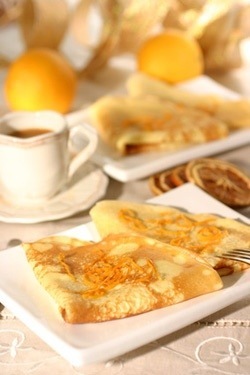 Pour the flaming Cointreau over the pancakes, dust with icing sugar and lemon and orange zest. 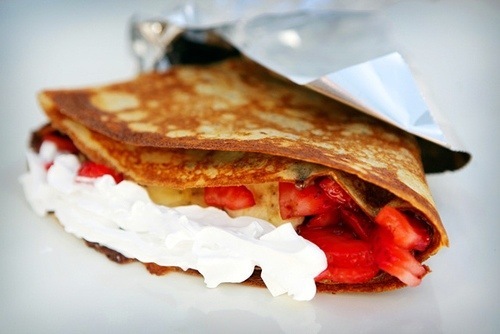 Delicious crêpes that will have you eyes wide and mouth watering! Perfect showpiece during a dinner party too! Give it a go! 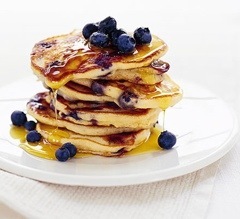 1 day to go and it’s time to prepare, bowls at the ready and so we can have some DIY pancake fun! So excited, how do you like yours? 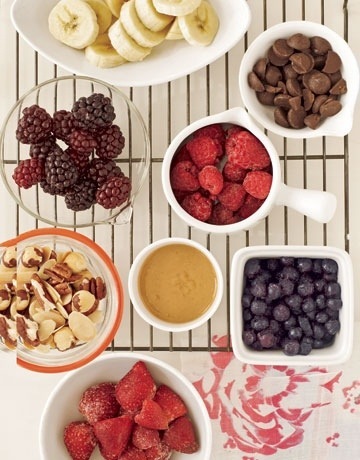 Here are a few topping suggesstions which always go down beautifully with kids and adults. 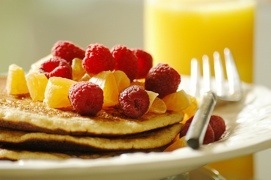 Mmm, it is going to be an amazing shrove Tuesday! Get the kids involved, get messy, and have fun! 1) Combine all the dry ingredients into a large bowl. 2) Make a well in the centre of the flour and add the milk and egg. Beat well to combine. 3) Heat a lightly oiled, non stick frying pan over medium high heat. 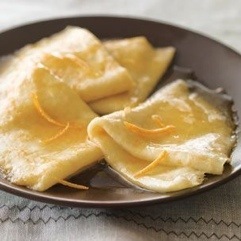 4) Using a ladle, pour the crêpe batter into the pan. 5) Tilt the pan in a circular motion so that the batter coats the surface evenly. 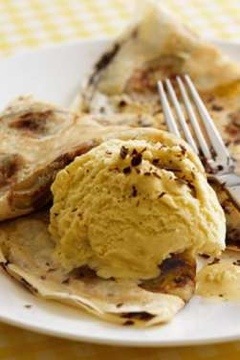 6) Cook the crêpe for about 2 minutes, until the bottom is light brown. Loosen the edges with a fish-slice, flip over and cook the other side. 7) Serve hot with your filling of choice. Easy as that!! I used to make these all the time and I prefer them much more to the traditional American pancake, it’s lighter, more delicious, and can also be used with savoury dishes(minus the sugar). I like mine with whipped cream and strawberries…how do you like yours?